I've written here, here, and here about my quest to create a healthier lifestyle and lose weight. For me, it's a spiritual adventure as much as anything else. I find myself relying on God to alter a previous dependence on food beyond what was healthy for me. This past Thursday, I went for my annual physical and, as has happened previously, I was wary of the inevitable weigh-in, fearing that I had gained a few pounds recently. But I was amazed to see that I had dropped a bit more and registered at 170 pounds. That was a loss of about three pounds since I last weighed myself during a visit to a local Little Clinic a few weeks ago. On June 13, during my annual appointment with the cardiologist, I weighed the most I ever have, 189.7-pounds. As I stepped off the scales, I decided that enough was enough. I asked God to help me reduce and to develop a different relationship with food. Anyway, I want to assure you that if you've been thinking about taking off weight, it can be done. If, with God's help, I can, you can for sure. One tip from my experience that I think is really important I've mentioned before. But I can't overemphasize its importance, for me anyway: Don't weigh yourself that often. We don't own scales and I want to keep it that way. To get caught up in the ounces from day to day could get depressing for me. Besides, this isn't just about losing weight. It's about treating the body God gave to me more respectfully and, as I mentioned earlier, establishing a different relationship with food. 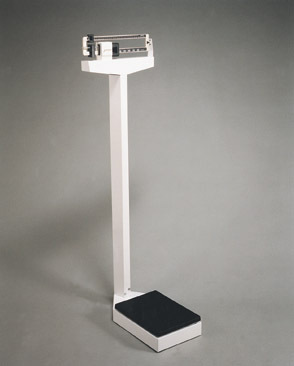 At least for me, the refusal to buy a set of scales and do daily weigh-ins has been important.